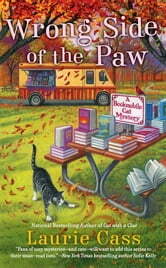 As the bookmobile rolls along the hills of Chilson, Michigan, Minnie and Eddie spread good cheer and good reads. 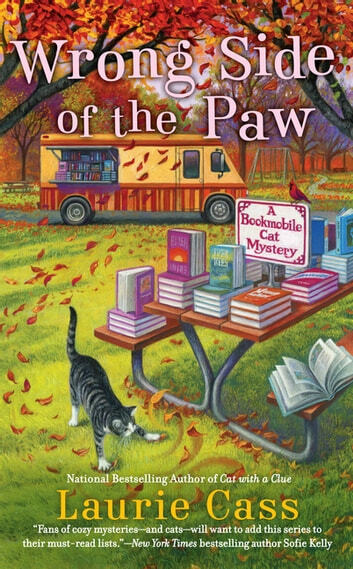 But when her faithful feline finds his way into the middle of a murder, Minnie is there, like any good librarian, to check it out. Eddie turns a routine bookmobile stop into anything but when he makes a quick escape and hops into a pickup truck…with a dead body in the flatbed. The friendly local lawyer who was driving the pickup falls under suspicion. But Minnie and Eddie think there's more to this case than meets the eye, and the dynamic duo sets out to leave no page unturned. I've hardly put this down since beginning to read it. I think it's the best yet and will be difficult to surpass. Excellent read. Kept me in suspence to the very end. Another great Minnie and Eddie whodunnit .another adventure in sight ? Loved it curled up on a few cold nights snuggled up with a good read keep up the great stories Laurie !